Our 2017 Easter Specials - ON SALE NOW! 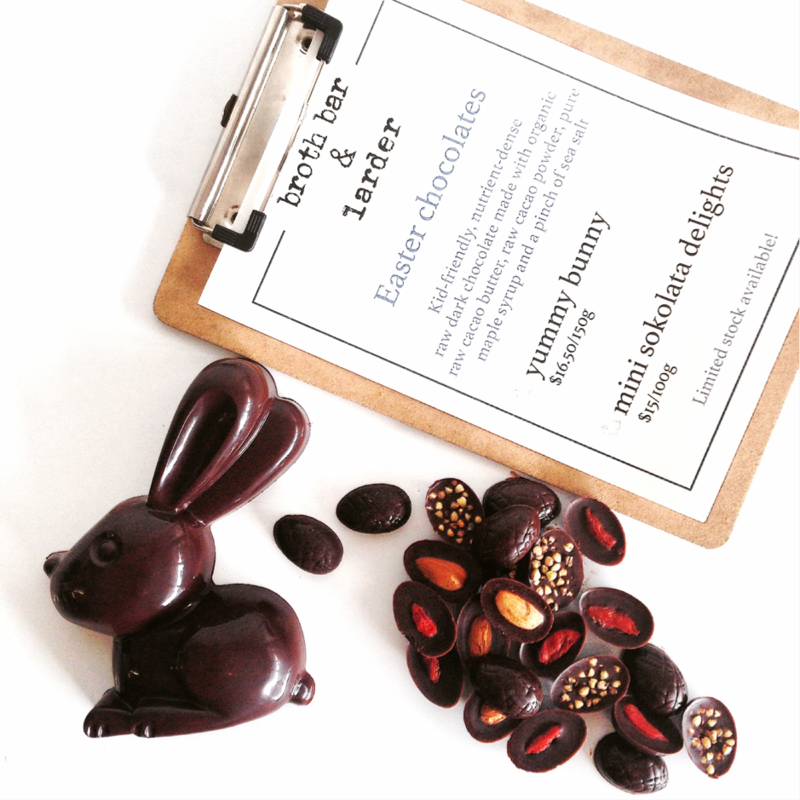 This is artisan chocolate made with the highest quality ingredients. We have tweaked our original recipe to make it more kid-friendly for younger palates. As usual, we have two fabulous offerings this Easter! In keeping with last year's tradition we have reformulated our signature raw dark chocolate recipe by reducing the amount of raw cacao powder to make it less bitter for younger palates. Because it is less bitter, we reduced the amount of maple syrup as less sweetener is needed when there is less raw cacao powder. Commercial manufactures increase the amount of sweetener for kids’ chocolates but we did the opposite as we know how unnecessary and damaging an excess of sweeteners are, especially for young growing bodies. The result is a silky smooth melt-in-your-mouth buttery sensation with a hint of raw dark chocolate. We trialed these on the harshest of critics (kids!) and got the big thumbs up! 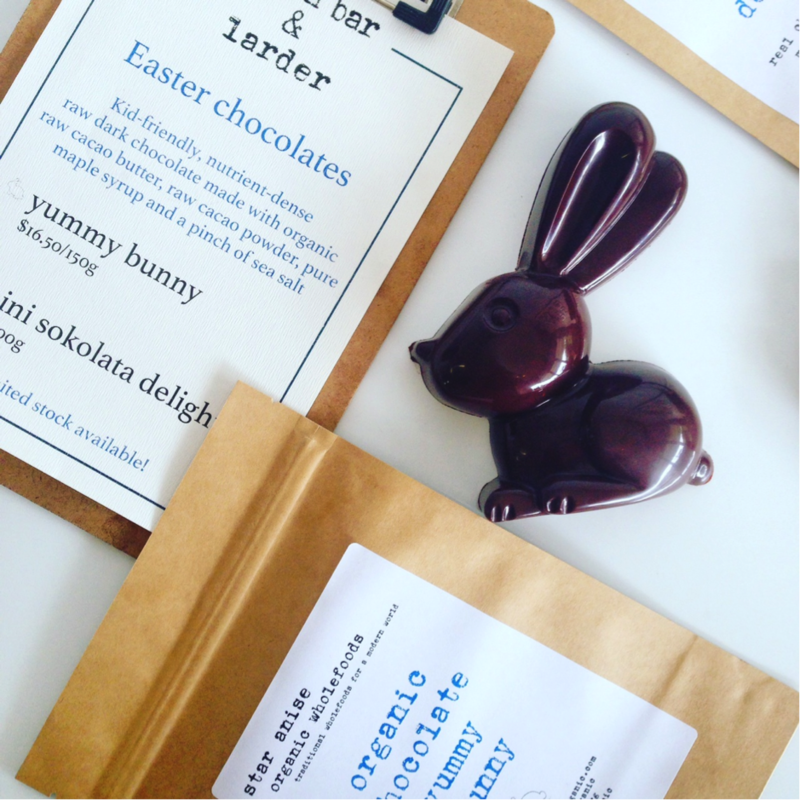 To avoid disappointment, you can pre-order your chocolates by emailing us at orders@staraniseorganic.com and we will put packets aside for you. 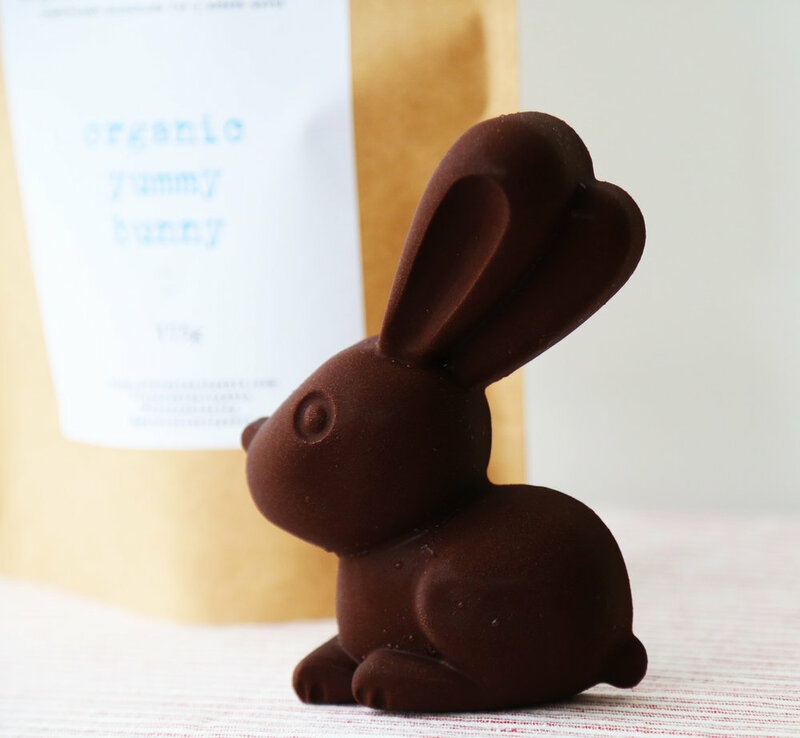 We can also courier the Yummy Bunnies to Sydney Metro Areas for an additional courier fee. 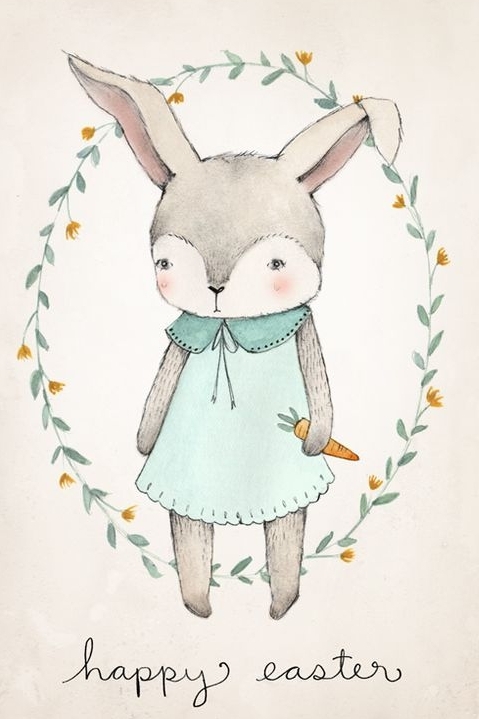 We are closed over the Easter 4 day long weekend 14 - 17 April.